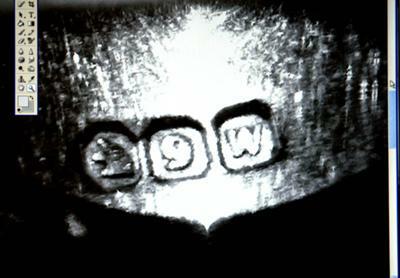 This ring was found whilst metal detecting in Australia on 26-12-09. It looks to me to be Middle Eastern, if I had to guess. I am also not sure if it is antique gold ring or not. The metal is Rose Gold with 3 nice rubies and each red stone has a star pattern imprinted into the gold as a surround around the 3 stones...similar to the Star of David type star, but 8 pointed. Any help with identifying the hallmarks is appreciated.